Methuselah is a Great Basin Bristlecone Pine (Pinus longaeva) tree growing high in the White Mountains of Inyo County in eastern California. Its measured age of 4,842 years makes it the world's oldest known non-clonal organism. The ancient tree is named after Methuselah, a Biblical figure having the oldest mentioned age in the bible of 969 years. 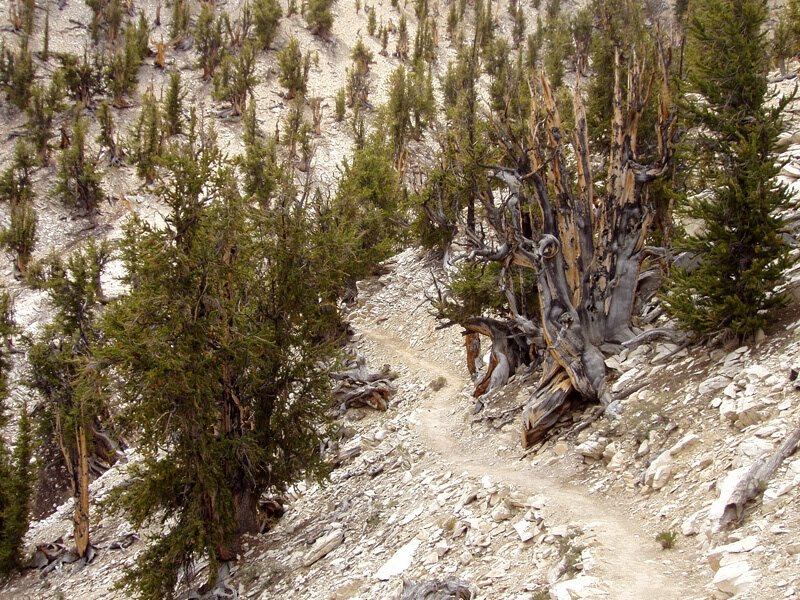 It is growing at 2,900–3,000 m (9,500–9,800 ft) above sea level in the "Methuselah Grove" in the "Forest of Ancients" in the Inyo National Forest. Methuselah's exact location is undisclosed as a protection against vandalism. "Methuselah" was 4,789 years old when sampled in 1957 by Edmund Schulman and Tom Harlan, with an estimated germination date of 2832 BC. Methuselah is the oldest known living tree and non-clonal organism in the world—4,842 years old as of 2011.